JFDR is the latest project of the gifted and prolific Icelandic singer-songwriter Jófríður Ákadóttir. Only 23, she has already released a string of albums with Samaris and Pascal Pinon, collaborated with Gangly, Low Roar, and Lapalux, and in March, released her first solo album, Brazil, to rave reviews. On July 30, she brings the curtain down on this year’s GIAF with a gig in the Róisín Dubh. Ákadóttir is the latest in the rich seam of Icelandic acts to garner international attention, following on from Sigur Rós, Of Monsters and Men, Ásgeir, Retro Stefson, and Björk, who has professed her admiration for Ákadóttir’s music. How does such a small country manage to produce so many successful and innovative musicians? Another key factor in her development were childhood and teen years studying clarinet. “It’s how I learned how to sing," she said. "The clarinet is very close to the human voice and it’s a solo instrument and it has a particular abstractness to it and a particular logic that has informed how I sing and perform. What I learned from my clarinet teacher about interpretation and expressing something beyond just the music and the notes and the instrument was so valuable to me. "It was probably the best schooling I ever had and I didn’t realise it until much later, when I had given up on the clarinet and I was angry with the clarinet, because it didn’t fulfil what I wanted out of music. I realised what I took from that tedious classical journey is so rich and so particular; there is a quality to doing the same thing repeatedly no matter how stupid it is. 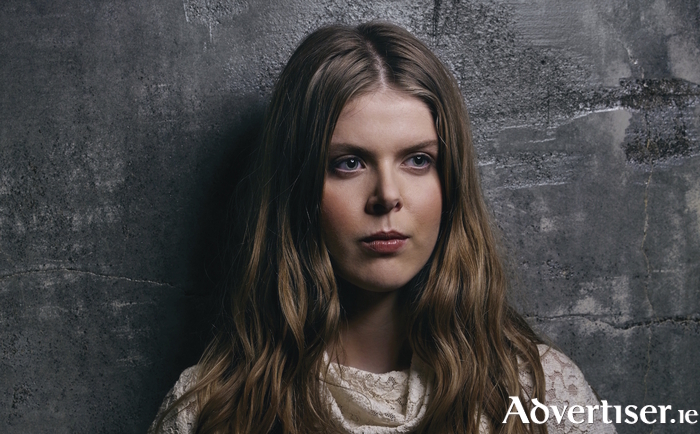 With her twin sister Ásthildur, Ákadóttir formed Pascal Pinon and released their debut album when she was just 14. “That project was something my dad encouraged us to do, to just go and record the album ourselves,” she recalls. “He helped us if we needed it but he said ‘You should record it, you should mix it.' That’s where I’ve been very lucky in how I was raised. Is Pascal Pinon still a going concern? “Yes and no,” Jófríður responds. “It’s one of a few side projects. We went into the studio and re-recorded some of our songs with strings so we’ve been going back to the past and seeing what we have there and reinventing it. But I’ve been so busy with my solo stuff and my sister has been busy with her own things we’ve not found time to work on that project. Why did Ákadóttir name the album Brazil? “It was just an image for me of a faraway place, a place so distant from Iceland,” she explains. “The whole album is about this searching for something and you don’t really know what it is, for Utopia, and Brazil felt perfect because it is a place that sounds so warm and foreign.